Still not quite believing that we really went to Ireland. The encounter did not disappoint. Ireland was hauntingly beautiful. What came as a surprise, on our first day of exploring, was rounding a corner to see this sign. A familiar name that stood out against the hillside and seemed absolutely surreal. 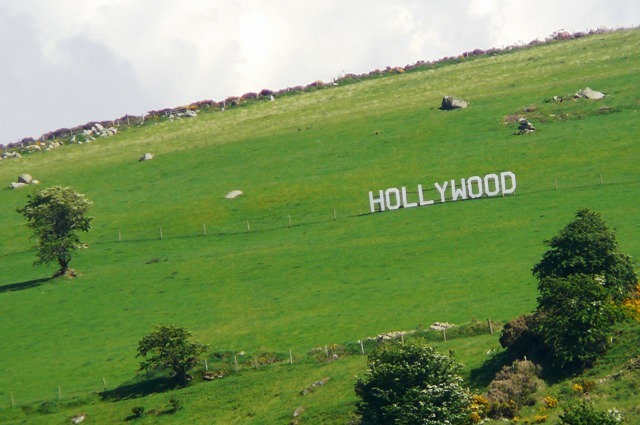 This Hollywood is located south of Dublin. 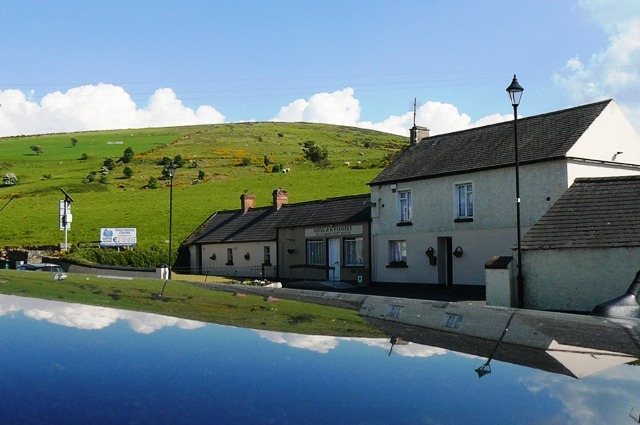 It is a tiny rural village, and quite likely the original claimant of the name. 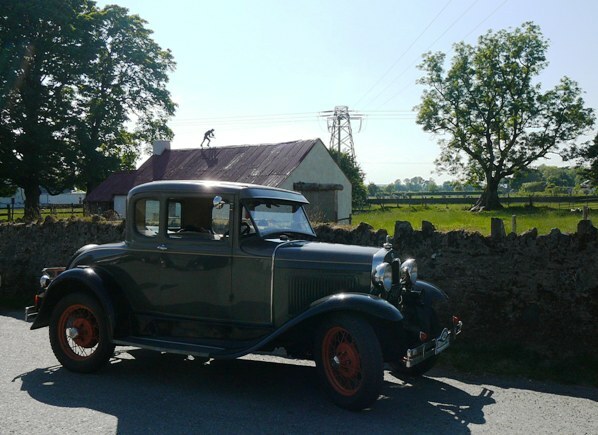 The village inn was buzzing, as locals and visitors mingled in the paved courtyard ringed by stone outbuildings and stables. It was not hard to picture a past when the village had a different pace. 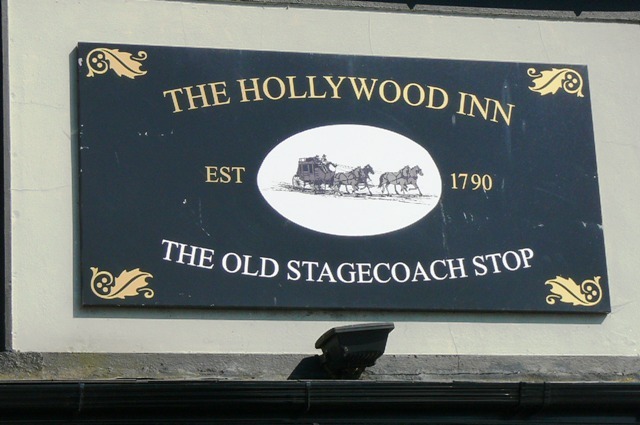 It seemed there was a party atmosphere in Hollywood that day, and below the reason, vintage visitors of a time past when the horses were being replaced. 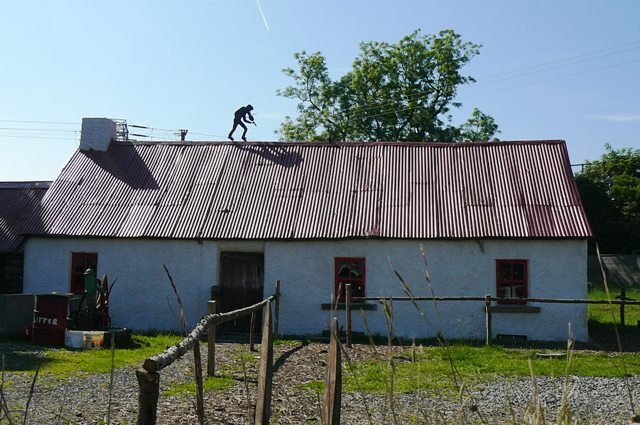 Could this be the original fiddler on the roof?